At the simplest level - insurance provides an individual or an entity with financial protection (or reimbursement) in the case of a loss. In the case of a pet sitting or dog walking business - insurance is used to help provide protection by mitigating your risk for particular actions (like a dog under your care biting a jogger who ran by a little too close). This happens by the risk being transferred to your insurance company in exchange for a fee. How does an insurance company do this? Well, the insurance company then charges many pet care companies a similar fee and pools the risk of all of those businesses to help keep costs down. This is also done to help mitigate the risk for the insurance carrier. While understanding how insurance works is helpful - the most important factor to know is that pet sitting insurance is protection for you and your business. As much training and education as you can have - things can and occasionally do go wrong and it’s important to have the extra layer of protection that insurance can provide. Because of this - Time To Pet highly recommends that pet sitters and dog walkers do carry some form of pet sitting insurance. This is for your protection but also for the protection and peace of mind of your team and your clients. Think of it this way - if there was a great dog walking candidate who had offers from two great companies but one offered pet sitting insurance and the other didn’t - who would they choose? The same goes for a client interviewing two pet care companies - one that has pet sitting insurance and the other who doesn’t. There are quite a few carriers who offer pet sitting insurance products. While the actual items included in a pet sitting insurance policy can vary from carrier to carrier — it is important to look for two key items (and to read all the details of the policy). General Liability is at the core of pet sitting insurance. It protects your business from items like property damage, personal injury or bodily injury. General Liability can be comprehensive in some policies but it’s important to really understand what it does and does not protect your business from. Some examples of what General Liability may cover for your business is a dog under your care injuring another person or if the dog under your care was not put in the kennel and ate the new couch when you left. General Liability protects you and your team again third party claims caused by your negligence or your staff member’s negligence. Bonding is not quite insurance but it usually goes hand in hand with an insurance policy. That’s why the term “Insured and Bonded” is so popular. Being “Bonded” protects your business if a client’s jewelry was stolen or mysteriously disappeared while one of your staff member’s was watching their pets. Pet Sitters Associates — Providing coverage since 1998 - Pet Sitters Associates is one of the most popular and well known providers. Business Insurers of the Carolinas —Working directly with NAPPS and PSI members since 1992 - The Business Insurers of the Carolinas are another giant in the pet sitting insurance industry. Kennel Pro — Kennel Pro offers quite a few options for pet care professionals. Pet Care Insurance — Pet Care Insurance has different packages for all types of pet care professionals. Worker’s Compensation — May be required by law. Worker’s Compensation can help with any injuries occurring on the job. Commercial Auto Insurance — Auto Insurance designed primarily for commercial usage. 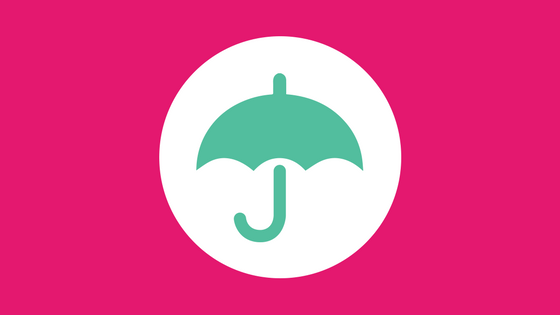 Umbrella Policies — These policies can help fill in any gaps in your insurance coverage. Keep a close eye on your Expenses when choosing your pet sitting insurance provider.